Tribhuvan International Airport is the only international airport in Nepal. TIA not only has flourished as the main hub for every expanding business of the country but has proudly catered to various domestic and international airlines. 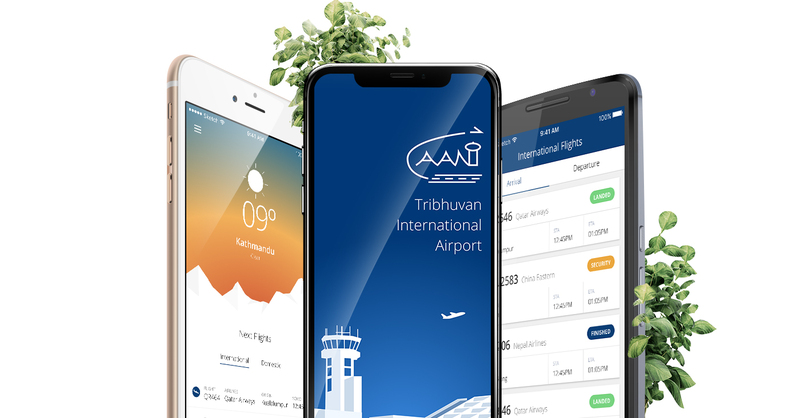 We developed and designed iOS and Android for TIA along with Online Flight Schedule applicaion. With thousands of travellers arriving and departing through the airport in and out of the country every day, it was necessary for TIA to develop a simplified app that assists travellers with flight schedule, weather and airport related information. Although the information was provided via website, it was more pragmatic for travellers to quickly access it via their smartphones. TIA had provided us the task to develop the app in budget keeping the premium aesthetic and branding alive. We designed and developed entire app in Ionic framework and ported the same application to iOS and Android platform. Use of this framework allowed us to develop and design the app rapidly remaining in the budget. We've been able to deliver iOS and android applications along with the Content Management System(CMS) developed on top of Drupal. The app is small in size, beautifully designed and has an impressive performance across a huge number of mobile devices. TI Airport's app is being used and loved by thousands of travellers.